Key Takeaway: The opportunity for additional mobile web users is in the billions. 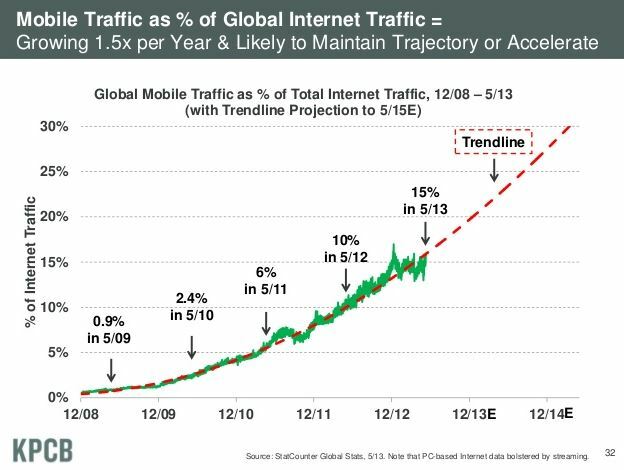 Ever since Apple released the first iPhone in 2007, mobile web usage has continuously trended upward. But many marketers have been waiting for technologies to further develop before focusing on the mobile web. Well, waiting to jump into the mobile web is no longer an option. Between the success of Facebook’s mobile advertising and the proliferation of new smartphones and tablets, making sure your message appears on every device is an essential part of an integrated marketing plan. But before you go building an iPhone or Android app (an expensive proposition to be sure), you need to focus on the primary source for company information: your website. It’s no surprise people are visiting these website via mobile devices. But it is shocking to see that more than a quarter to a third of traffic to client websites with a B2C component are mobile visitors. Moreover, all five clients above saw mobile web usage nearly double year over year in the last few years. So what do you need to do? Of the clients above, one already has a responsive website. Two others have responsive websites in development. Even our own website is responsive now. Having a single web property that works on every device from a large-screen PC to a small smartphone will be essential for both scalability of your web properties and consistent messaging. Instead of updating a desktop website and a tablet website and a smartphone website, you only need to update one web property with responsive design. I’ve been preaching the benefits of Facebook’s promoted posts and sponsored stories for almost a year now. The key to their success has been promoting lead generating content right in Facebook’s users newsfeeds—even on mobile devices. Facebook’s mobile ads aren’t the end of the story, though. The options for mobile advertising are going to grow significantly because Mary Meeker notes 12 percent of media interaction time is spent on the mobile web, but only 3 percent of advertising is mobile. As the time spent on mobile grows, that opportunity becomes even larger. Why is content so important to the mobile web? Because without content, there’s very little opportunity for engagement with your brand—especially in the mobile web. Meeker’s report points out that photos are experiencing explosive growth right now with Facebook, Instagram and SnapChat leading the way, while video (Vine), sound (Sound Cloud) and data are poised to be the next big content things. This one might seem a little regressive, but SMS marketing is still a major point of any mobile strategy. Why? 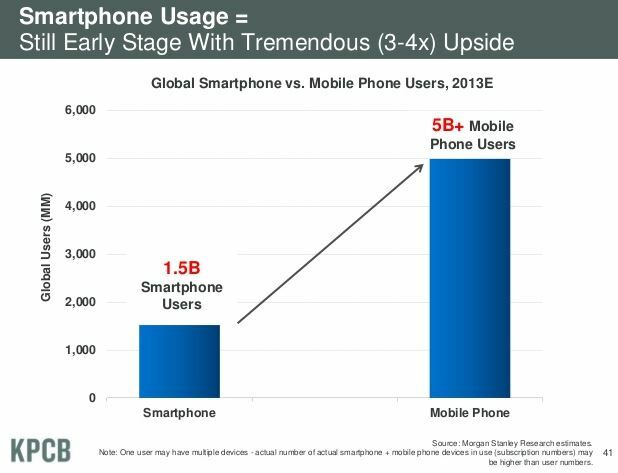 Because in that graph above showing smartphone usage versus mobile phone usage, there are still billions of people out there who can receive text messages even if they aren’t ready for the mobile web. It’s making those SMS marketing messages part of your greater mobile web strategy that will make the difference in the near term. 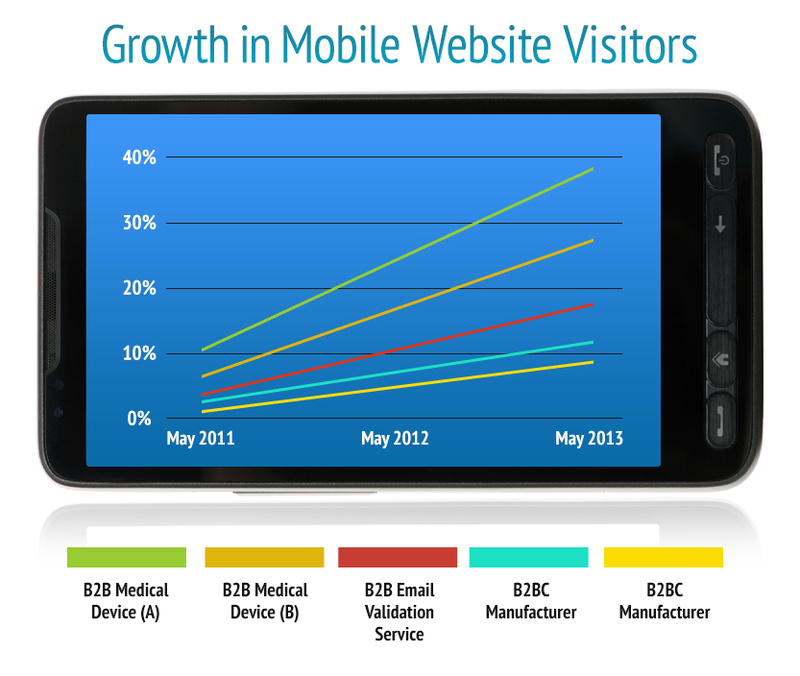 How much of your web traffic is from mobile devices? Let us know in the comments section. Dan Stasiewski is is Technology Director at Kuno. When he's not talking about marketing data and trends, he's probably in a movie theater... or randomly breaking into song. You can connect with Dan viaTwitter, LinkedIn or Google Plus.